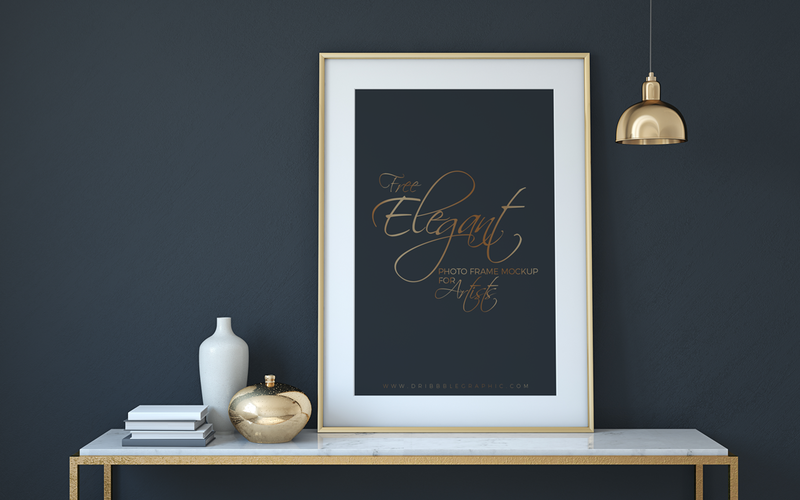 Showcase your photos or poster designs with the help of this Free Elegant Photo Frame Mock-up. This is very professional and unique photo frame mock-up that give your photos or poster designs a wonderful look. Smart-layer help you to get the awesome result. This Photo Mock-up is shared by Dribbble Graphics. A very professional platform for graphic and web designers. Thank yous so much! Awesome and stylish work!